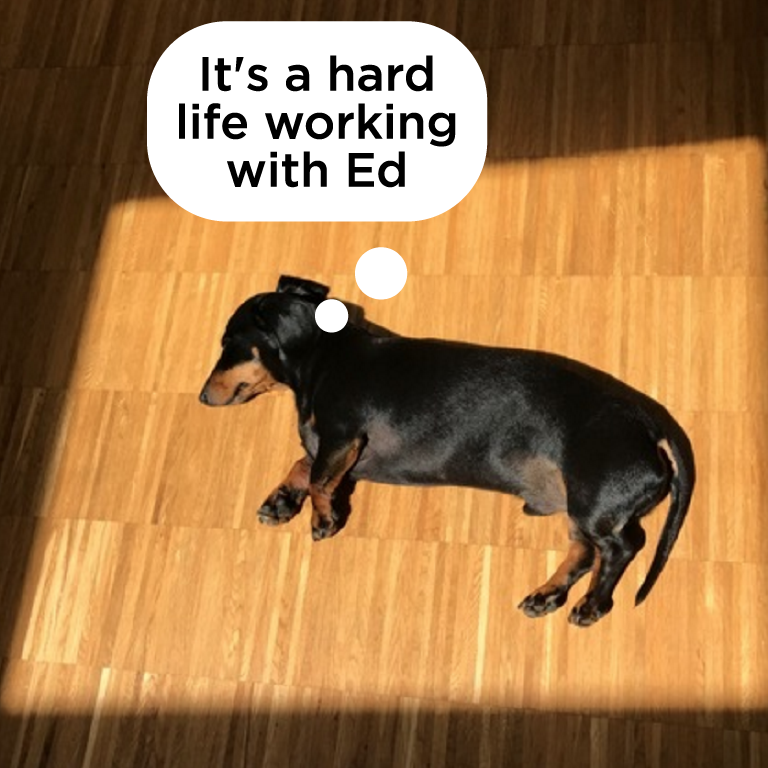 Ed tells us why celebrity life is not for him, which kind of architecture floats his boat, and why Venice is his go-to destination. If you’re wondering who his furry four-legged friend is in the photo then read on to find out. Do you have any hobbies? I like furniture design and architecture; particularly Scandinavian mid-century and modern architecture. I actually designed the desks, shelving units and coffee table in the office. What do you like about living in Harpenden? Everyone lives in Harpenden because it’s close to London; I’m usually there once or twice a week for work. I like it because it’s very green 🌳, there is common land on both ends of the town and Rothamsted agricultural research centre is on one side, so lots of open space. How would your friends describe you? What friends…🤣 they would probably describe me as happy and curious. I’m known for being happy all the time and my wife knows I’m very curious, always interested in anything and everything. Do you have any pets? 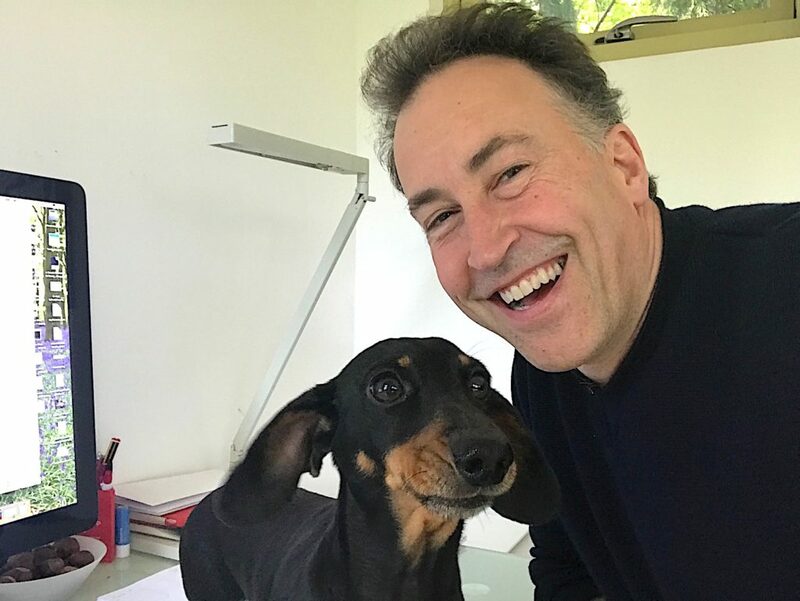 Yes, I have a miniature dachshund which we named Hugo as it sounds faintly German. It was the only dog my family were interested in, I said if we could find one in a day then we could have one. We’ve now had him for five years 🐶. Which celebrity would you be if you could? I’d be anyone but a celebrity, I prefer not being known🙅‍♂️. If I had to choose I would be a famous architect, they get to design interesting things all over the world. They can continue producing great work even when they’re getting on and their work usually gets better as they get older. What do you like most about working at Ocasta? As one of the co-founders I enjoy the flexibility and degree of experimentation we can do. I like the range of work and the range of customers we work with; big and small, and that we can try new ideas to make Ocasta a better place to work for everyone. We want to make it relaxed, friendly and understanding. We know that people have a life outside of work, so it’s better for everyone if we can accommodate that. What’s the craziest job you’ve had? I used to run a hotel in my spare time, it was my parents originally so I used to help out one weekend a month. The hours were probably the worst part, starting at 6 am and finishing at midnight. I did everything from making the breakfast 🍳 to doing the bills ✍️ and cleaning 😴. I learnt a lot about customer service in the role (which was useful to know when creating Oplift), attention to detail was vital, along with excellent timing, everything had to be ready exactly on time. The best part was meeting lots of people, David Icke stayed at the hotel and the Muddy Fox professional cycling team. Another strange job was corn castration 🌽 whilst travelling around Europe when I was younger. I had to go up and down the rows all day pulling off the tassels, it was a bit odd just walking continuously in the heat. What’s your proudest moment at work? Hmm, I don’t have a particular moment, it’s more general. It is very satisfying when we do a successful deployment, as any project where you’re making your client’s life better or easier is always rewarding 💪. Outside of that, it’s developing a working environment where people enjoy coming to work. It can be very difficult with lots of staff as everyone has different goals and aspirations which make them happy, usually at work people would rather be somewhere else. I take pride in the fact that people enjoy what they do. Tell me your most interesting story? I started a hydroelectric company which has been a very interesting challenge. 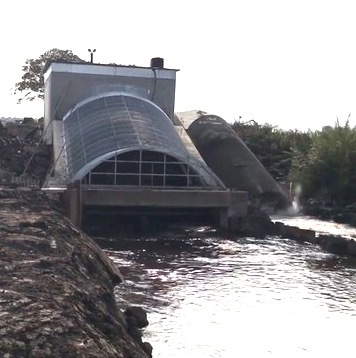 We’ve just installed the world’s largest run of river generator in Yorkshire and it started generating last month. The company started in 2009, I had to put the proposition together; find land, engineering, the right people and work out the business model. The idea was to make small-scale hydroelectric plants feasible. Which skill would you most like to master? I would like to be a good carpenter, my grandfather was a carpenter, it would definitely help in my furniture making 🔨. Where is your favourite place in the world? Venice,🇮🇹 there is no place like it anywhere in the world, it has a unique mixture of history, atmosphere and architecture. I’ve been four times, a couple of times whilst travelling and my last trip was for my 20th wedding anniversary. What is the best thing that has happened to you this year? 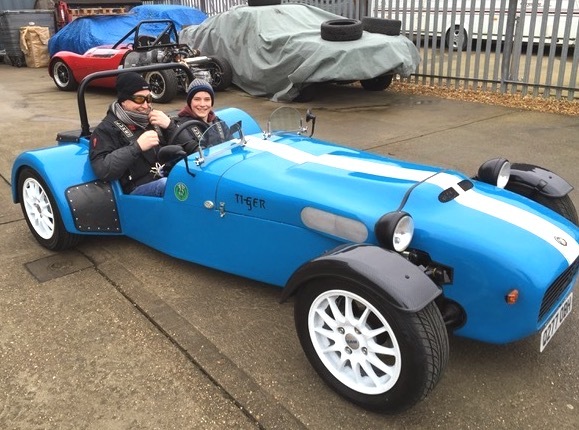 Well at the beginning of the year I bought a Lotus 7 kit car. I use it very occasionally for fun. It doesn’t have much of a windscreen so you can only go a few miles, otherwise you get very wind-swept 💨. It fits two people and the dog in it.